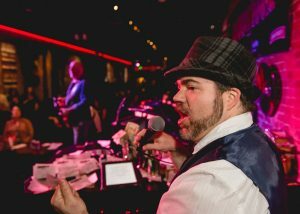 Portland’s Longest Running and ONLY Dueling Piano Show Bar, now in its ninth award-winning season! Featuring National Touring Talent every weekend this Vegas Style request driven show is great for Birthday Parties, Bachelorette Parties, Girls Night Out, or Just Because. Recently voted as a USA Today Top 10 Portland Entertainment Pick! For full performer schedule and ticketing information please see https://www.barrelroompdx.com.